Fiona was extremely helpful every step of the way. She always gave me the decision of what to cover during lessons, either a certain area or a specific topic. She put me at ease and lessons were very easy to enjoy. 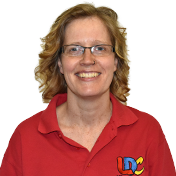 The LD System worked really well for me. I used the workbook most days whilst learning to drive and I feel that it really helped me understand the basics of driving, as the pictures taught me to know how and when to steer, observe and where to position my car. 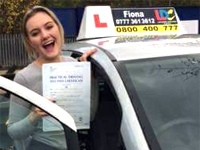 Overall, learning to drive with Fiona was an extremely positive experience. Thank you so much! I'm a driving instructor in Selby, Goole, Pontefract, Snaith, Carlton, Camblesforth, Drax, Whitley Bridge, Chapel Haddlesey, West Haddlesey, Knottingley, Barlow, Burn, Brayton, Hambleton and surrounding areas.